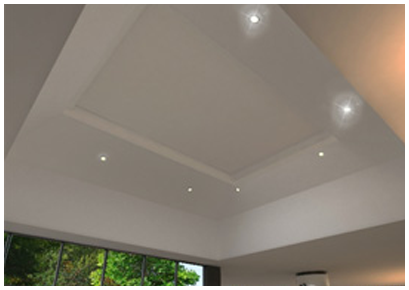 in sizes up to 3m x 3.6m in electric roof blinds and manual roof blinds. We love to speak to customers! to go over your options with you. Tensioned zip roller blind, fully enclosed within cassette and side channels. Operated by electric motor or manual gear and tensioned by powerful constant tension spring units. Blackout Thermal or Antiglare Thermal fabric is locked into the side channels along its full length to minimise sagging. 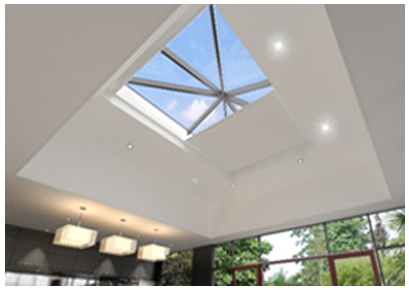 Visibly WIRE FREE, providing you with an open view to the sky when the blind is retracted. Powered by Somfy® RF Motors. 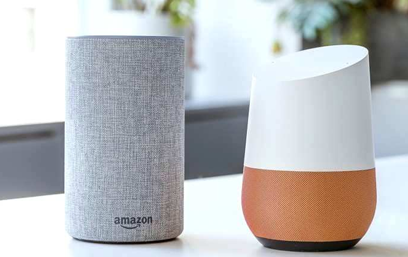 Fully compatible with Amazon Alexa Home and Google Home. We listened to our customers who find their roof lanterns make their Orangery cold in the winter and boiling hot in the summer – so we created the LanternLITE™. Available in either Blackout Thermal fabric or Anti Glare Thermal Screen fabric you will find you can control and stabilise the temperature and lighting in your room with the touch of a button! 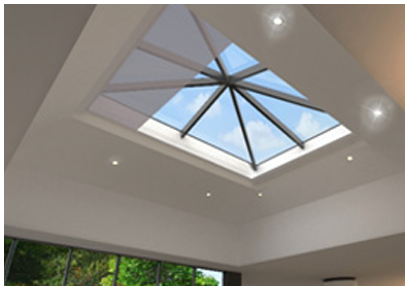 Suitable for any roof window including dome windows, pyramid windows, light wells, sky pods, flat roof windows, horizontal roof windows and any other glass expanse. 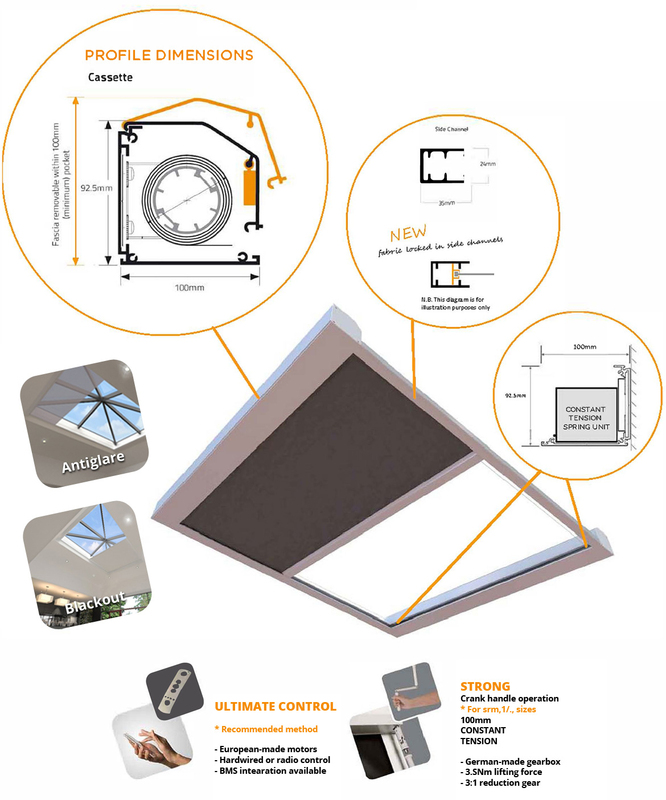 This fantastic flat roof blind is ideal for Orangeries, Atriums and any flat roof window you may have in your home. Available in sizes up to 3m x 3.6m the installation possibilities are endless. Oh, did we mention you can fit this blind yourself? 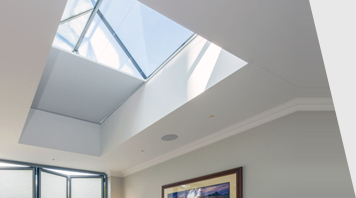 Save thousands of pounds and provide us with the width and length of your aperture together with some photos and some friendly customer service advisors will help you order a made to measure roof lantern blind. Roof Lantern Blind we would love to help. 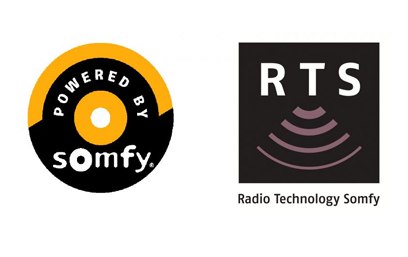 The LanternLITE™ is powered by the Somfy® RTS motor which, with the help of the Somfy® TaHoma Hub integrates seamlessly into your home automation eg Alexa, Google Home, Honeywell etc. If you do not have a home automation system don’t worry. The LanternLITE™ comes as standard with a remote control. 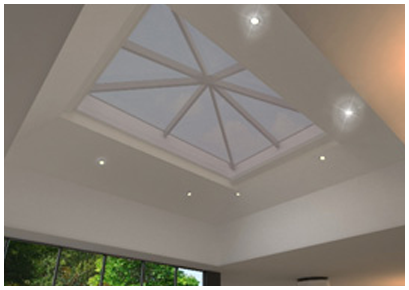 LanternLITE™ comes with a full 5 year guarantee as standard.